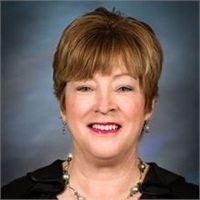 Gail V. Crowley | Equitrust Financial Group, Ltd.
Gail V. Crowley brings a wealth of experience and knowledge to her role as financial advisor. Helping people, whether it is planning for retirement or college expenses is truly a passion. She works closely with clients to develop customized financial strategies that incorporate asset allocation, financial management, retirement, college, and succession planning. Gail graduated from Illinois State University, earning a bachelor's degree in communication. She also achieved a Masters of Business Administration in finance from Loyola University. Gail holds the designations CFP, Certified Financial Planner, and AIF, Accredited Investment Fiduciary. Outside the office Gail enjoys traveling with her husband and two sons. Visit Gail in our Hinsdale office location.